Great expectations have been placed upon cell therapies to become effective solutions for currently intractable diseases, many of which are very difficult to overcome by traditional therapies and medicines. In order to meet these expectations, cell therapies require the production of extremely large numbers of cells. In many cases hundreds of billions of cells must be cultured. This production must be carefully implemented to ensure stable manufacture of homogeneous cells. However, because cells are highly sensitive to environmental changes, there are many obstacles to obtaining protocols for stable cell production. 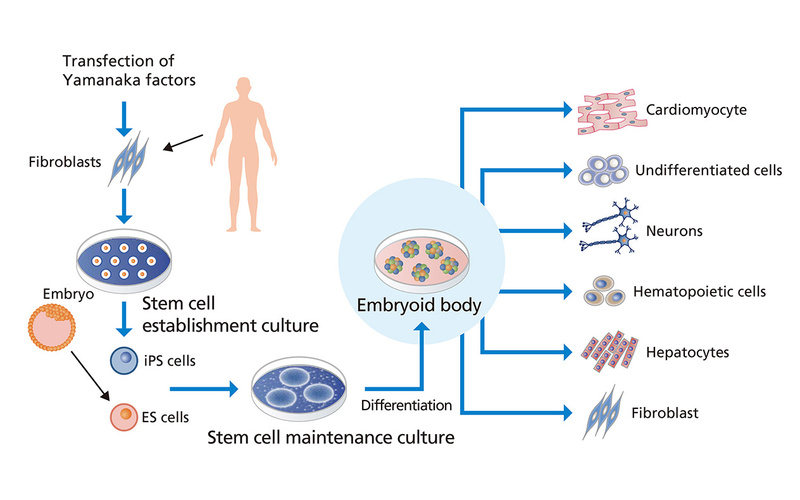 For example, since human pluripotent stem cells (hPSCs) can become a variety of different cell types, differentiation induction methods are underway worldwide as a source for cell therapy. In order to achieve reliable mass production of high-quality differentiated cells of the intended cell type, it is essential to routinely monitor the state of the cells via skilled techniques and microscopic imaging. Experience and skilled techniques are required for each process. Daily cell observation of cells under the microscope is quite important to ensure the quality of cell cultures. However, routine microscopic observation by humans is not a quantitative, precise, or consistent method. In addition, it is impossible to track and record the morphology and movement of more than 10 million cells in the culture dish by human observation. Nikon is now able to visualize and quantify the characteristics of cells, while in culture, by utilizing our imaging device and image analysis algorithms. Determine the timing for cell passage, drug addition, etc. We offer trial services for image analysis. This device unifies the incubator with the observation system. 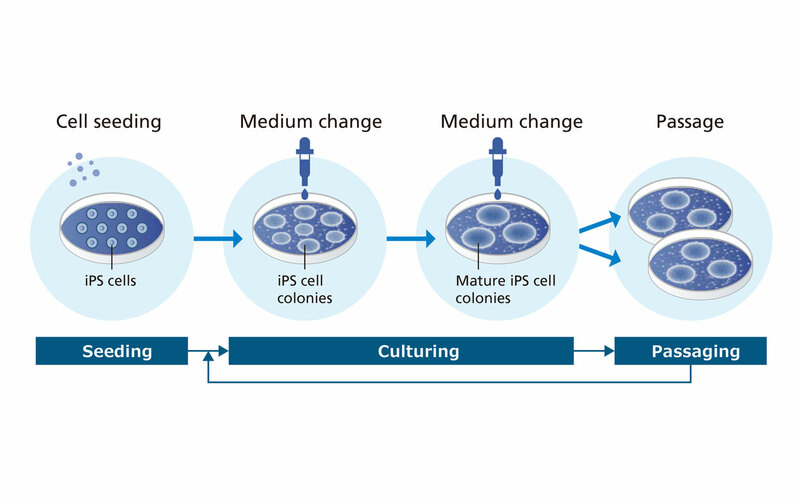 It can provide long-term automated observation of cells in a culturing environment. Installed in an incubator, this device unifies the incubator with the cell observation system. BioStudio-T is waterproof/H2O2 resistant, allowing use in an isolator or other clean environment.